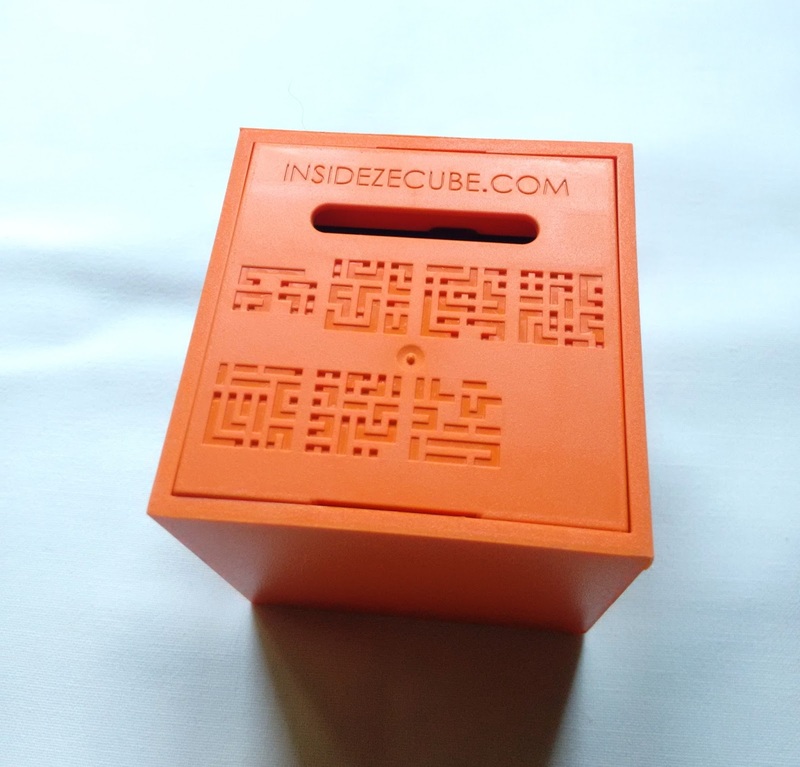 Inside3 (formerly known as Insidezecube) is an intimidating and very challenging 3D maze, even for the most seasoned puzzlers. Embark on a journey to the unknown through the darkness, as this maze won't need your visual sense to be solved. Instead, you must rely on your other senses, adding a pinch of patience and large amounts of persistence. 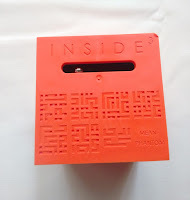 Inside3 , as the name suggests is a play on words (or better, a play on numbers, as the 3 is represented as the mathematical exponent "cube", hence the name Inside "cube"). 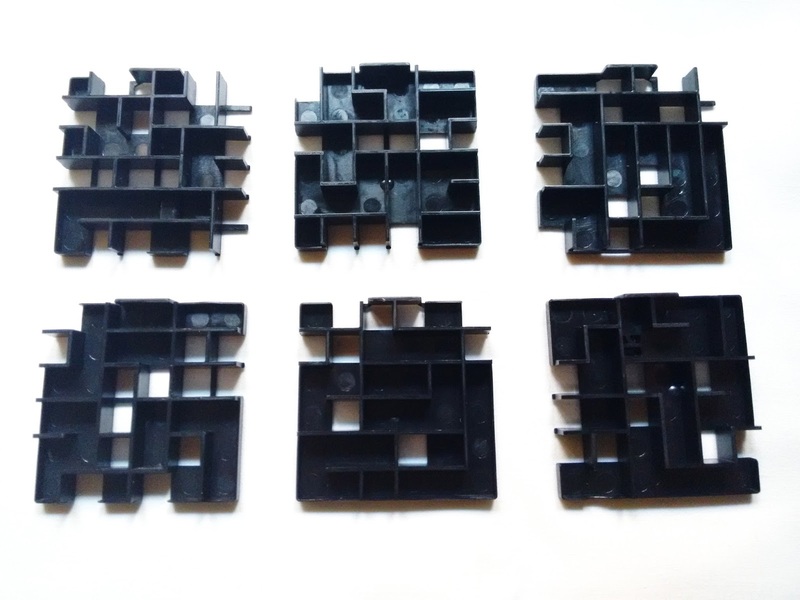 Invented by the French Romain-Guirec Piotte, this 3D maze promises to test the puzzle solving and orientation skills of anyone courageous enough to try his puzzles. The first of six planed seasons, each with six difficulty levels, features the same number of cubes with a different color for each level. 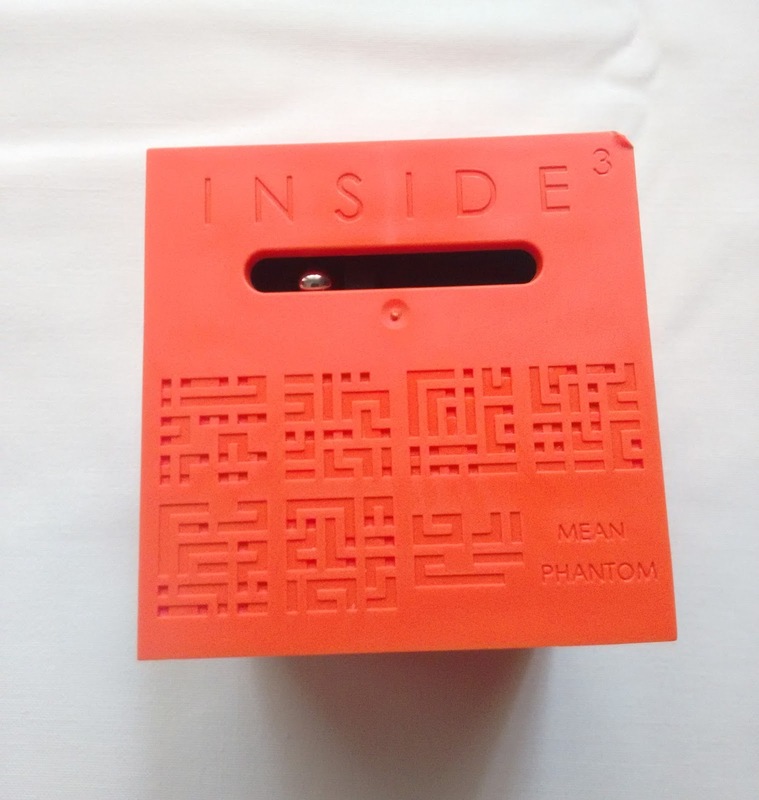 The cube you see presented in this review is the third level, or as it's called the Mean Phantom. 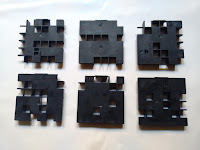 Be sure to not underestimate these puzzles, as they will certainly prove to be quite the challenge. Hidden mazes or blind mazes are not a novelty in puzzles. We've seen them most prominently featured in the Revomaze puzzles, and they're popular for a reason. Puzzlers like a tough challenge, especially when you can't see what's going on inside - It deals with our imagination. The feeling of being lost, but still in control. The Inside3 puzzles have their own features that make them unique. While you're on your own to try and figure out where the small ball is at all times, you have some clues to rely on that help you on your journey to the other side of the cube. Engraved on two opposite sides of the cube are seven 2D mazes, each corresponding to a different plate or layer that's inside the cube (the sixth and last difficulty level doesn't have any maps). 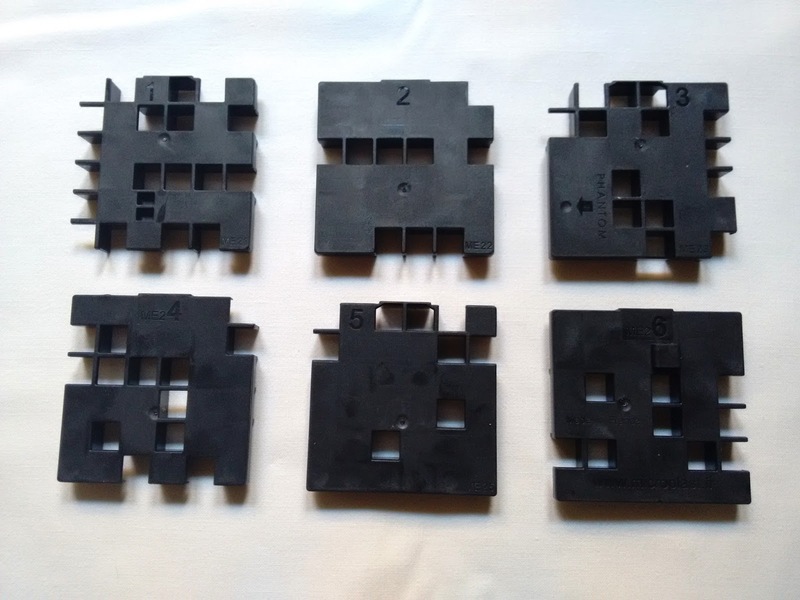 Each plate has a maze that connects with the other plates and so on, which in turn links the front of the cube to the back. If you get stuck while trying to solve your cube, don't despair. You can open it up (only the first four difficulty levels allow for this), remove the layers and replace the ball back to the beginning. Another interesting feature about opening the cube is that you can swap and re-arrange the layers to form a whole new maze. If the original wasn't hard enough already, you can put a whole new spin to it and make it even more challenging - Now, not even the 2D maps of the layers will help you. So far, all I've accomplished was the first part of my journey, which was to reach the other side of the cube. This wasn't done in one sitting, though, but through the course of several days. Since there are two balls in play, I'm not even sure which one reached the first half of the journey. At this point, All I care about is that one ball made it to the other side and now I have to return it to the beginning of the maze. 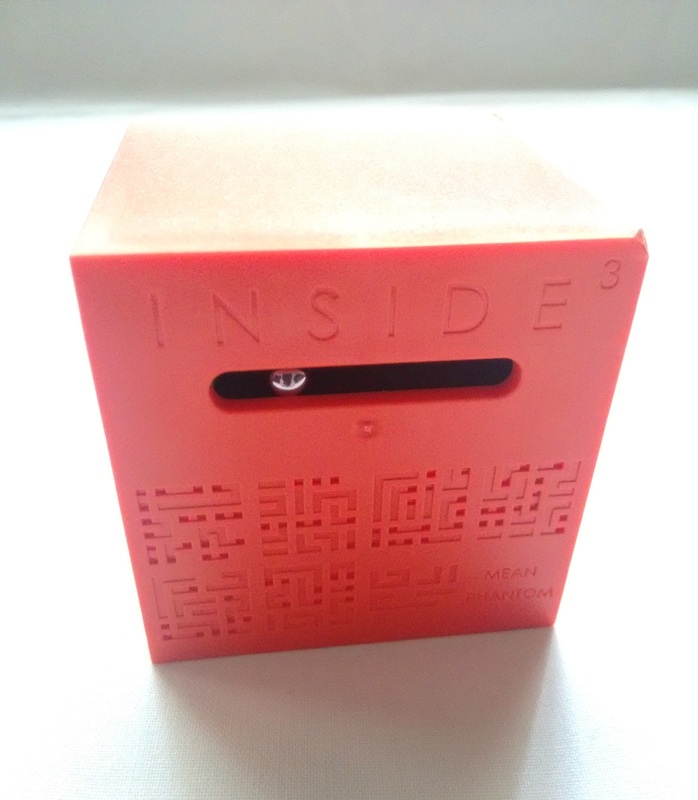 Inside3 is everything I want in a puzzle. It's frustrating, almost to the point of throwing it out the window, but it's also fascinating, intriguing, intimidating and rewarding. It's all of these things and more. 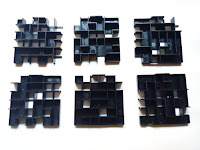 It's because of puzzles like this one that I write about puzzles and collect them. If you're a serious puzzler, I strongly recommend trying one these cubes. But if you're a casual, no problem. You can start with one of the easier difficulties and go from there. Availability: You can get any or all of the puzzles in the Inside series through the official website @ www.inside3.space.